I noticed i didn’t write anything about Cambodia and the food there, while actually it’s a really nice place if you want to eat delicious food. The coffee is amazing, the best i’ve ever had, but the food is also awesome, like in Thailand and Laos. In this article, i just want to show a typical market in Cambodia. Merkets are usually located in the center of the city. People just put their products in wicker baskets directly on the floor or on tables. Maybe not in touristic cities, like Siem Reap, but in the other cities i’ve been, it was like that. Of course for us it’s a little disturbing because of the hygienic requirements, but if you’re careful, it should be ok. I mean, during the all trip i was only sick once in Laos because they washed the vegetables in the Mekong (I don’t even want to think about what kind of chemical products and other things there are in the river). So yeah, basically, you have a lot of fruits, and vegetables, fishes, meats, spicies. What really surprised me is that they have so many choices, there is a lot of food, so many fruits that are expensive to us, but actually they are so poor. There is a huge contrast in that way. The other thing that i liked is that you can have snackes or fast food everywhere. I just don’t get how easily it seems in Asia to eat everywhere, while in Europe you have to be in a restaurant. You have small shops on the streets, near the river, selling fruits, juices…for a very cheap price. 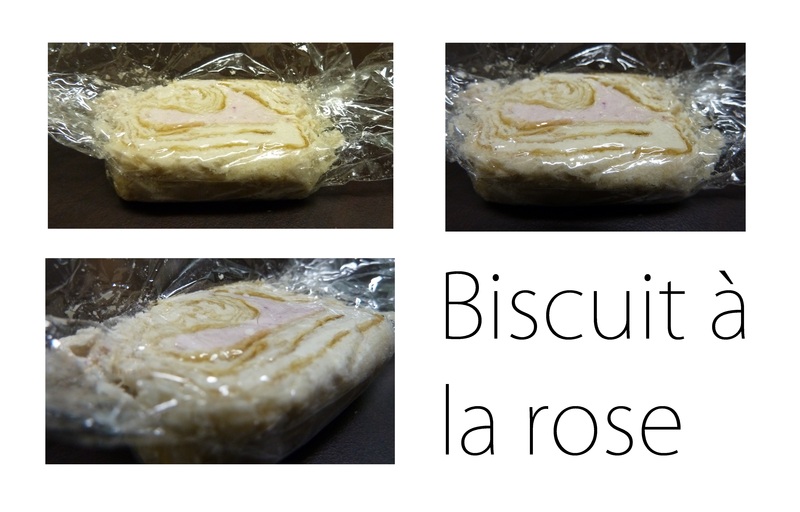 I was offered a Rose biscuit from Shanghai, so i tried it. It’s between a “sablé” and a nougat. Really sweet and the rose taste isn’t too strong, which is quite good because i think that rose can easily be disgusting if it’s too strong. It seems that Chinese and Taiwanese typical pastries are either crumbly or “feuilleté” (i don’t know the proper translation). Swiss Ice-cream. A Swiss friend told me they were really good, and that’s no joke! Why eat ice-cream in winter? Well, i was in marcel and skirt, and i was too hot, even if it was 10pm. Yeah, we don’t have winter here (actually it depends on the day, and the hours), so you can enjoy ice-cream all year long! I chose a 2 scoops one with coffee and white chocolate. You really have a strong coffee taste like i miss so much here. Delicious. While the white chocolate one is sweet, maybe a little too sweet for me, but i loved the fact that you really eat white chocolate (there’re small pieces in the ice-cream). And then, to go i took a tiramisu ice-cream which was nice but didn’t taste coffee as much as i would have liked. It was more like a cream. Even though it didn’t taste like tiramisu, it was nice. Count 130TWD for 1 scoop, 190TWD for 2 scoops and 135TWD for a small pack. It’s a mix between a dumpling and a “bao”, because that’s a fried bao, but with a thiner dough. It’s really nice, and only 12 TWD for one. You can choose between meat, green vegetables or cabbage. You have a lot of small shops selling it around Taipei Main Station. I tried it since i wanted to. Quite disappointed in fact. I chose the beef and green onion one for 40 TWD, but the dough is quite dried. I thought it was like my green onion bread, but no. 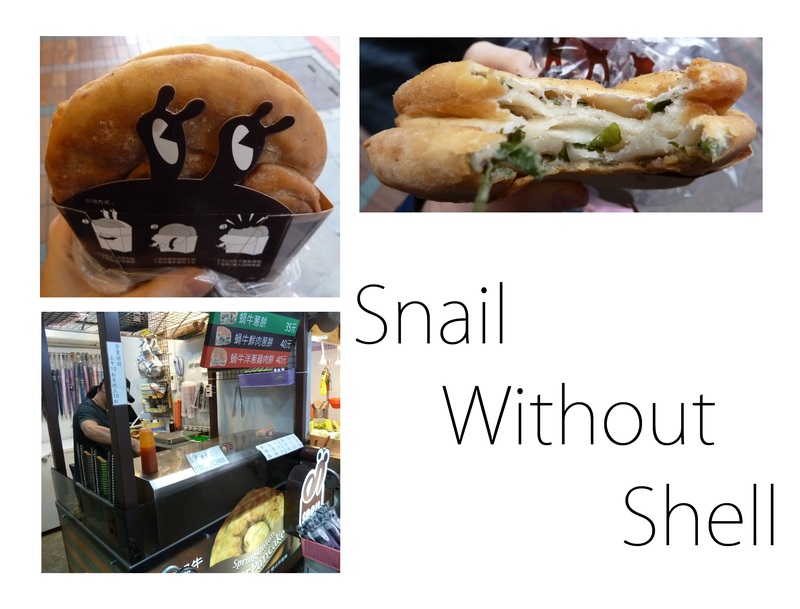 However their packaging is really nice and convenient to eat the snail while walking. Salad without bread= impossible for me, so i tried to find some decent bread near NCCU, and the only bakery that proposes some real bread is the first one starting from NCCU main gate. You have 2 breads: the baguette which is really big (for 2 or 3 person at least) of the garlic bread, smaller, which is great for one meal. I went for this one. The weather unfortunately makes it too soft for a crispy bread. It’s quite oily, but like all garlic bread i guess. 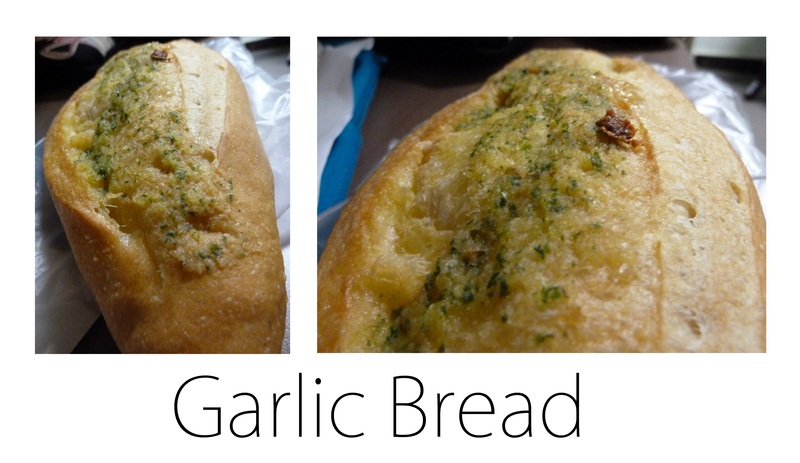 However the taste is good, it reminds me of my first garlic bread in Australia. So it’s good if you want bread and not the time to go far. Just don’t expect a crispy bread. 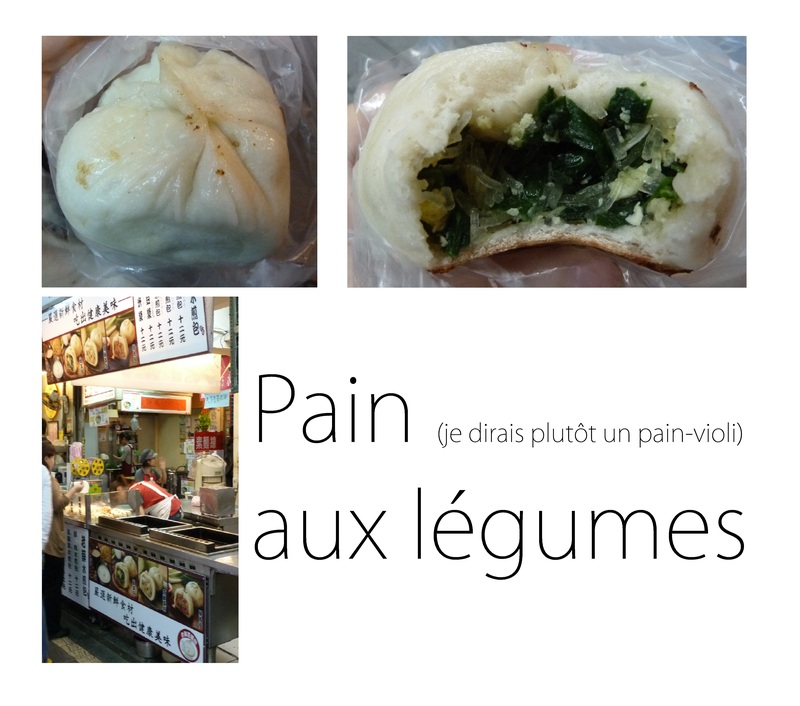 I wanted to try this bun for a week now, but since it’s quite far from the university, i had to wait. So, i tried…and it was disappointing. It didn’t taste like coffe at all.